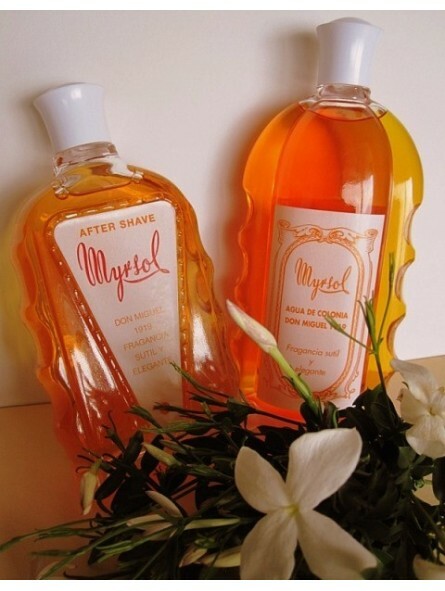 "Myrsol “Don Miguel 1919” After Shave 180ml. Thanks to the ingredients used in this product, it has antiseptic, calming and anti-irritation properties that repair the skin after shaving. The recipe for this great aftershave has been recovered from the family book of recipes and pays homage to the brand's founder Don Miguel Ricou. The original formula from the 1960's has been reinvented with slight changes with the aim of surprising the user with a subtle and elegant fragrance. “Don Miguel 1919” has a Jasmine aroma with eucalyptus. A unique blend that tis fresh, floral and distinctively masculine. " I spotted that as well. Haven't quite got my head around Jasmine and Eucalyptus yet though. Yeah an interesting mix...can't really picture it. Taking one for the team DB?